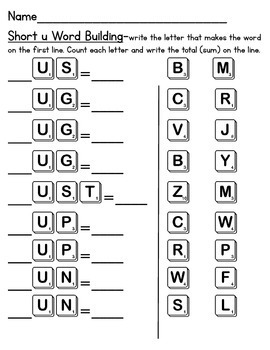 This activity incorporates the Scrabble letter tiles to connect language arts with math. First, students choose the letter that makes a real word. Next, they write the letter on the line. Then, they count the numbers on each letter tile. Last, they write the total or sum on the line.